The summer is right around the corner and the weather is perfect for picnicking. Just in time this perfect summer side dish, this creamy coleslaw chilled in the fridge, conjures up memories of fried chicken by the bucket. Finely dice cabbage and carrots. Pour cabbage/carrot mix into large bowl and stir in minced onions. Using regular blade on food processor process remaining ingredients until smooth. Pour over vegetable mixture and mix thoroughly. Cover bowl and refrigerate several hours or overnight before serving. Picnics are a perfect time to perfect those chilled salads and slaws that remind us that it’s too warm for hot food. 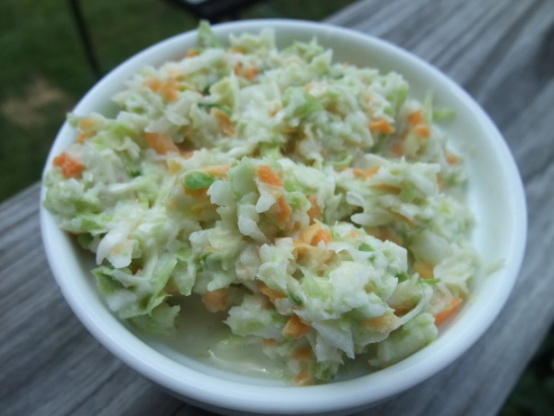 So, with picnics in mind I put together two great tastes that should go well together and blended them with a variation of the creamy coleslaw dressing I like to whip up. 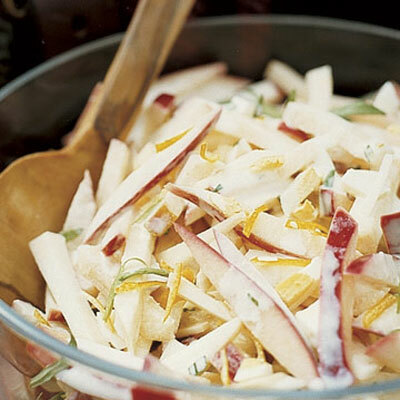 So lets try the Apple and Celery Root slaw. Combine the mayonnaise, tarragon, lemon zest, salt, and horseradish in a medium bowl. Toss the lemon juice, celery root, and apples together in a large bowl and stir in the mayonnaise mixture and egg. Let sit at least 45 minutes before serving.